Make treat time more rewarding and nutritious with Farm. These super tasty natural snacks are made from potato starch and contain clove extract for freshening breath. The snacks are gluten-free, low fat, eco-friendly and completely vegan. They are specially designed to help clean your dog’s teeth. 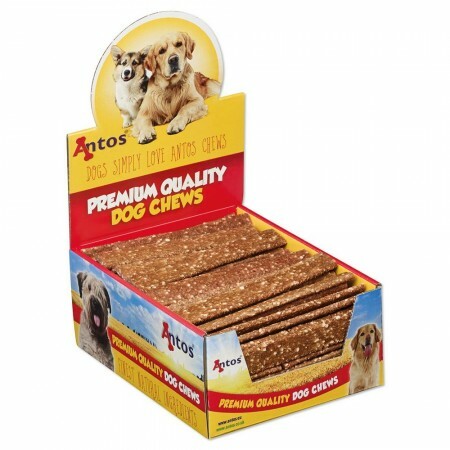 They are perfect during training or anytime your dog deserves a soft, chewy and healthy reward. 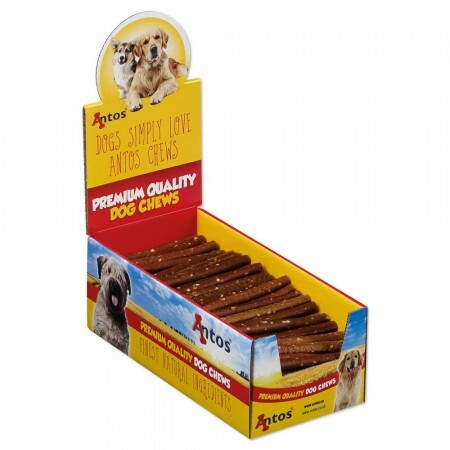 Made from all-natural ingredients and using a vegetarian recipe with just 1.4% protein and 2.5% fat, making them an ideal treat for dogs on low protein diets or those needing low fat dog treats. They are also wheat and gluten free which makes them the ideal snack for dogs with wheat allergies. The Farm snacks are 100% natural with no artificial ingredients and they come in three varieties: Strips, Small Rolls and Large Rolls. A great and super healthy snack dogs love.